This event is running on selected dates from 28 April 2019 until 26 May 2019. It is next occurring on 28 Apr 2019 2:00 pm — 3:30 pm. 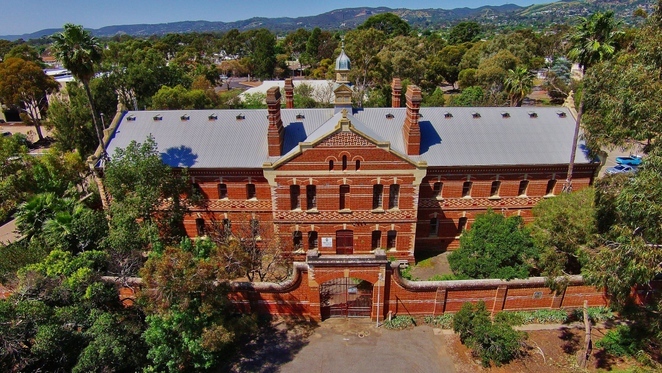 Neither prison nor hospital, the “criminal ward” of the former Glenside Mental Hospital occupies a unique place in South Australia’s history. From the rare ‘Ha Ha Wall’ encircling the building to its striking 1880s polychromatic brickwork, explore the breathtaking architecture and sobering history of this important site. Cost: Adult $15, Concession $13, National Trust Member $10, Child $10 under 15. Access to Z Ward is via 63 Conyngham Street, Glenside. Parking can be found directly adjacent to the building.